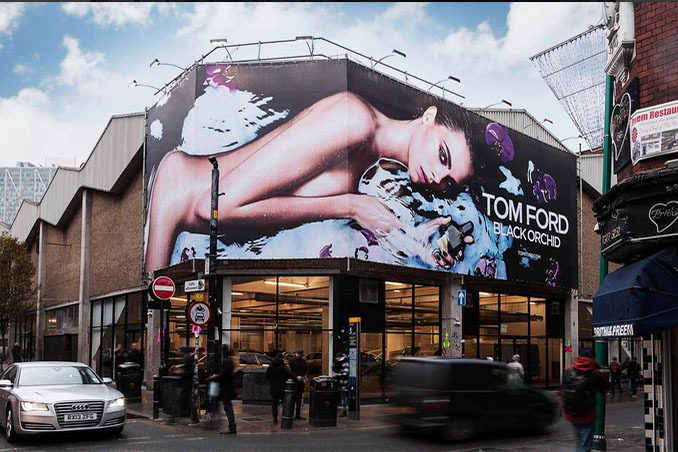 A naked image of Cara Delevingne plastered on a billboard on London's Brick Lane does not objectify women, according to the advertising watchdog. The poster shows the model lying on her front, revealing the side of her breast and her bottom and holding a bottle of Tom Ford perfume. The ad received two complaints, one saying that it was degrading to women and another that it was inappropriately located where children could see it and close to places of worship. A spokesperson for Tom Ford described the ad as "sensuous, highly stylised and artistic". The company said most of Delevingne’s body was under water and her buttocks were "presented in a virtual profile and not in a sexual way", insisting there was nothing sexually suggestive in Delevingne’s pose or the accompanying text. The Advertising Standards Authority said the ad was sexually suggestive but not "sexually explicit" and did not degrade or objectify women. The ASA ruled: "We noted the ad did not appear within the immediate vicinity of a place of worship and that the area in question was a busy, diverse and popular area of London. "We therefore considered the ad had not been placed inappropriately."